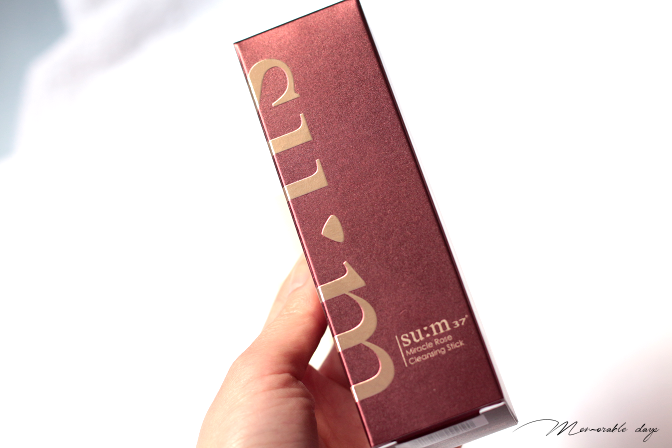 Review: SU:M37 Miracle Rose Cleansing Stick | Memorable Days : Beauty Blog - Korean Beauty, European, American Product Reviews. Hi girls! 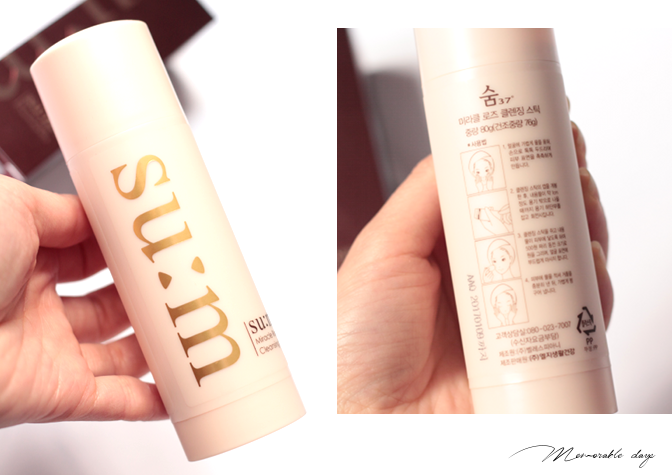 I talked to Alice the owner of w2beauty.com the other day and she recommended me to try the Miracle Rose Cleansing Stick from Korean brand SU:M37. It's a very popular product in South Korea at the moment and it is sold out at many stores. Alice recently stocked up a lot of them so if you're interested make sure to grab one as fast as you can. 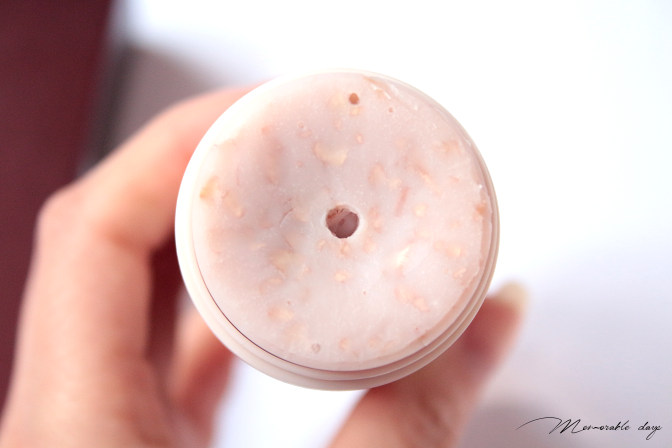 Read today's post if you want to know more about this miracle cleansing stick. So what's the hype about? 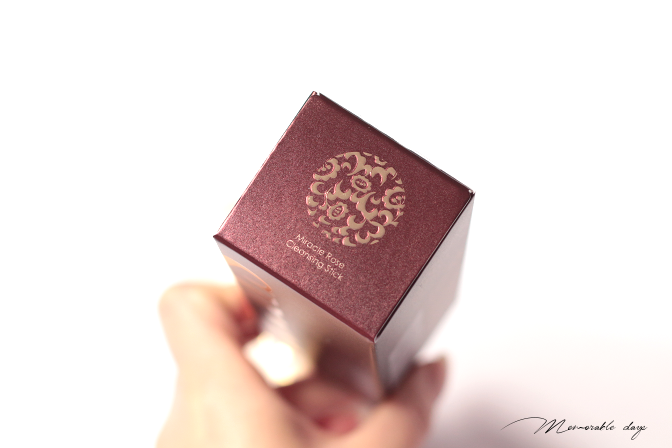 This miracle rose cleansing stick is a hypoallergenic cleansing stick which contains fermented rose flower extracts and it includes more than 90% nature originated ingredients. It claims to make your skin soft, it won't make your skin dry nor irritated. It's 4 free - color, paraben, mineral oil and alcohol free. This is a low pH foaming cleanser. It has 80g of product. I think it will last for around 3 months if you use it twice daily. I love the high end red packaging that it has. 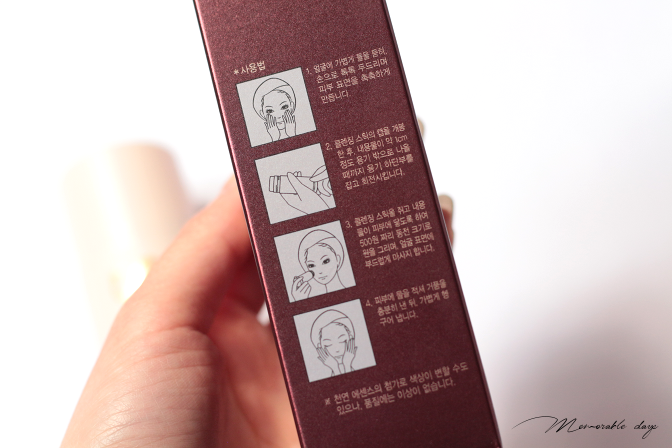 Most of the descriptions are Korean on the packaging. 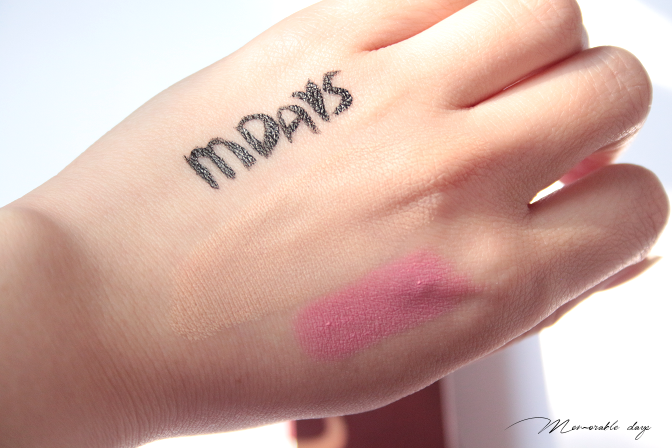 The stick is very easy to use, you just need to twist the lower part and the product comes out. It's also easily portable, you can bring this on vacation if you want, it's not liquid so you can even carry this in your hand luggage! 1. Wet the face with lukewarm water. 2. Turn the stick to pull out 1 cm of content. Hold the bottom of the container and turn counter wise. 3. Put the stick on the face and create circular motions for light massaging. Apply more water if needed to create more lather. 4. Rinse off with lukewarm water afterwards. To be honest, i'm not a big fan of this method. It seems like your face will be the platform to create that lather. The stick is actually quite hard, it's soap, and it takes a while to create lather, it's not really a massage to me. You can also rub the stick onto a wet foaming net or konjac sponge to create lather. I'm using this method and i like to use my Clarisonic MIA2 to create the lather. I rinse it off with lukewarm water afterwards. This method has worked great for me and it removes my make up really well too. One thing that i'm not a fan of is the scent that this product has, it has a light rose scent which isn't very pleasant. However, I got used to it after several usages, so i'm ok with it now. Once you open the cap you can see the light pink rose petals on the stick. As you can see, it will turn white when you rub it on the skin. 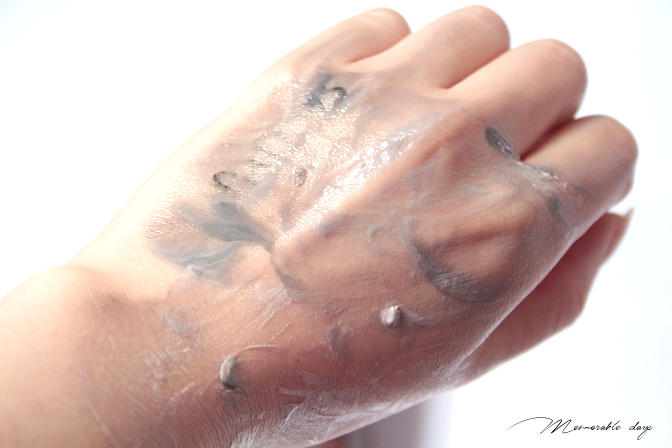 To test the stick out I applied waterproof eyeliner, bb cream and lipstick on my hand. I added water to it and rubbed the stick on it. Unfortunately, the lather wasn't visible on the picture, that just takes a while if you don't use a foaming net or Clarisonic. However, it did a great job on removing everything on my hand. The skin will feel soft, squeaky clean but unfortunately a bit tight as well. 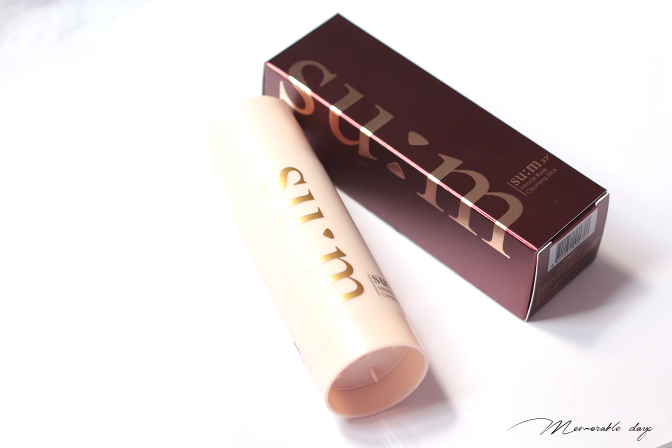 I received the stick from w2beauty.com for review purposes, she is selling the SU:M37 Cleansing Stick for USD$36.50 including worldwide free shipping. If you're interested make sure to grab one since they are sold out really fast! I can see why everybody likes this cleansing stick. It's travel friendly and it cleanses the make up really well. It also has a low ph level which is great. 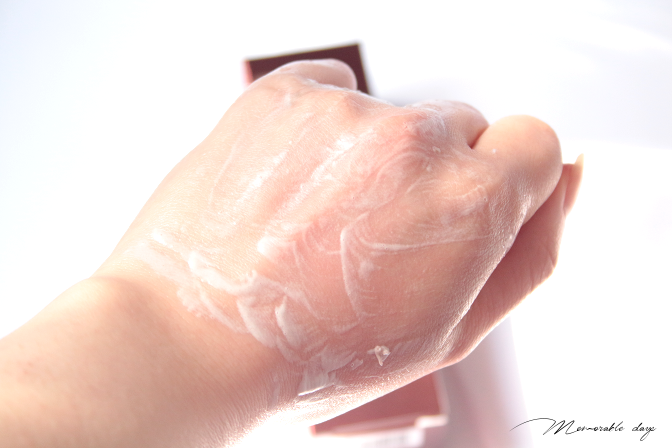 I am sure that this product can be a holy grail to people who has a sensitive skin. It's a product with wonderful natural ingredients. However, this is not a product that i would put in my holy grail list. I'm not a big fan of the scent eventhough i got a bit used to it now, but that's my personal preference. I also think the price is quite high for just a soap. It doesn't feel comfortable when rubbing the stick on the face, so other gadgets are needed for this to create lather. I have a combination dry skin and sadly this gives me a tight feeling afterwards which is the biggest reason i'm not a big fan of it. So sad to say, this cleansing stick is not my favorite. 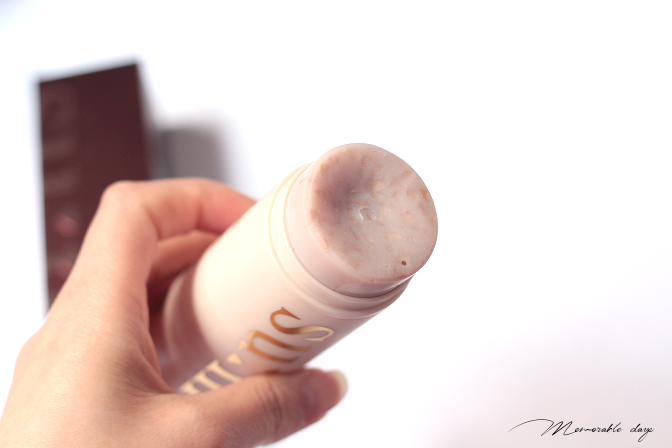 HAVE YOU TRIED THIS CLEANSING STICK BEFORE? PS. I've been quite busy, sorry for the lack of posts everybody! However I am very active on my instagram as well as snapchat, so feel free to follow me there. Find me on both platforms at Kawaiipeachies. note: this product was sent to me for review purposes, but this didn't affect my opinion about the products, see disclaimer. this post contains affiliate links.